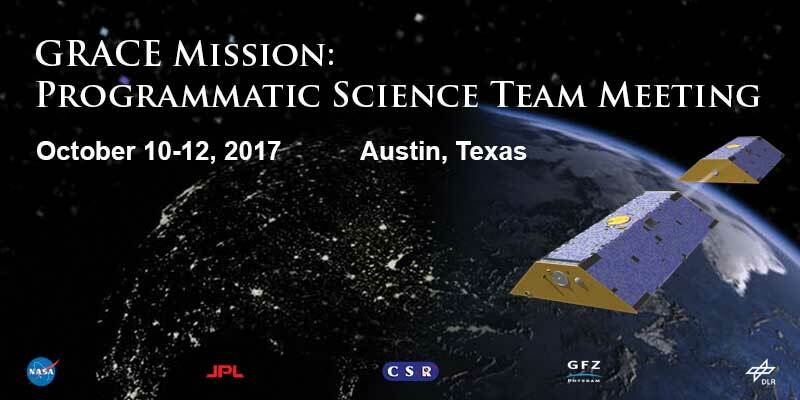 The GRACE Mission Programmatic Science Team Meeting is scheduled for October 10-12, 2017, in Austin, Texas. A Call for Abstracts for this meeting are now being accepted. For more information, please click here. Registration Deadline is Sunday, October 1, 2017. Registration fee is $200 USD per person. Please register as soon as you know you will be attending. Housing information should be available shortly.